Picking the right hair colour isn’t as simple as just choosing one at random. To find the best color for you, you need to consider carefully what suits you and what doesn’t. To do so, you must take into account both your skin tone and your eye color. By reviewing these elements, you’ll be able to choose a hair color that is highly flattering and that compliments, rather than clashes with, your face. The perfect hair hue will enhance your skin tone, brighten your face, and even make your hairstyle look better than it did before. So what are you waiting for? It’s time to find your best hair color! Just like the colors of an outfit need to work together, the colors of your hair and skin need to compliment each other. Whether you have pale, brown or dark skin, always think about how different shades will look on you before coloring your hair. Doing so will give you a good guide as to what hair colors will suit you best. By choosing a hair color that suits your skin tone, you’ll see your natural beauty enhanced in a way that will make you glow. Accidentally choose a color that clashes with your tone, however, and you’ll draw attention to skin imperfections, so be sure to get it right. If you have pale skin and colored eyes and you want to create contrast, black and dark brown hues are great, otherwise choose between blondes and reds. 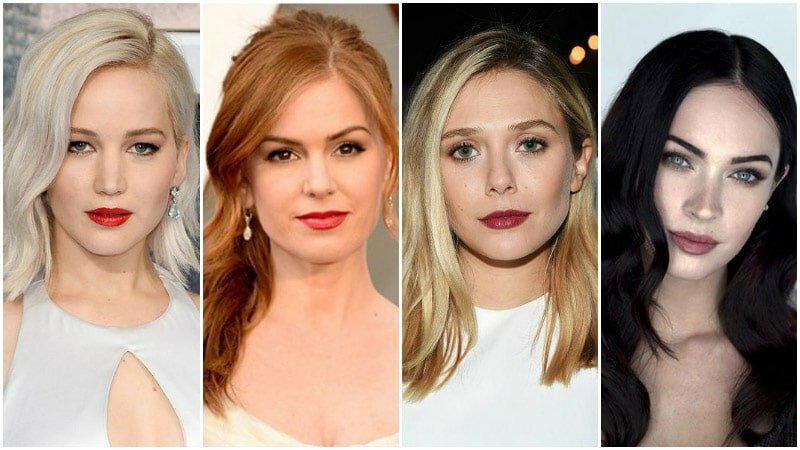 As pale skin typically falls into the range of cool skin tones (skin with blue, pink and red undertones), it tends to look best with light cool hair colors. Try complimenting the pinkish and red undertones of your skin with colors like icy blondes, violet reds and mocha browns. Other light blondes, such as platinum and champagne, also tend to suit pale skin quite well. If you’re pale but have a warm skin tone (yellow, peach and golden undertones) and brown eyes, consider opting for light, warm hues, such as butterscotch, honey and strawberry blonde. Brown, naturally tanned, and European skin tones tend to be warmer than pale skin and therefore look better with rich, warm hair colors. The sweet spot for this tone is in between dark blondes and dark browns, with both light blondes and black hair colors clashing. Warm, honey-colored blondes, caramels, mocha and golden browns are the right colors for anyone with this skin tone, as they will further warm your features and give you a glowing complexion. Remember to steer clear of colours that match your skin tone too closely, though, as they will wash you out. Also, as a general rule, it’s easier to go with hair darker than your skin tone rather than lighter, so also consider deep, rich and earthy browns, ebony browns and violet-based shades. For women with olive-toned skin, which features green undertones, aim for rich brown hues with hints of red. Try chestnut brown, auburn and cinnamon colors for a complimentary look. Avoid tawny blondes, golden caramels and coppers as they are best reserved for anyone in between pale and brown skin tones. 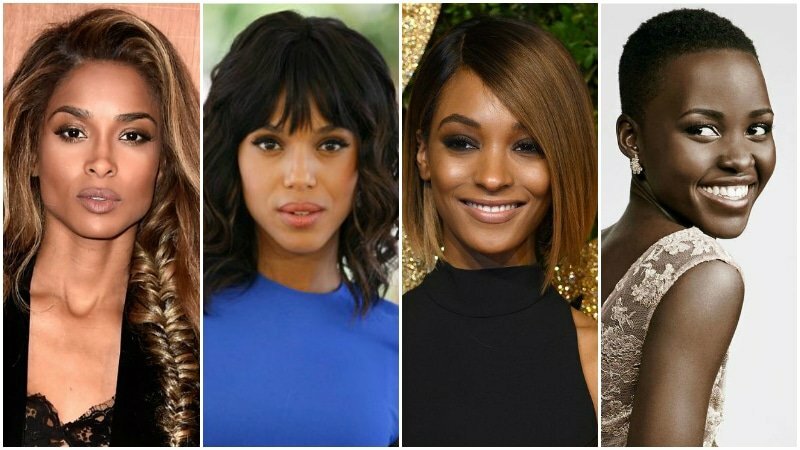 Women with dark skin can choose to go either of two ways with their hair color. They can pick a hair color that is lighter (aim for about two shades) or darker than their skin tone. By doing so, they will create a natural contrast that is appealing. In general, though, darker hair colors tend to be easier to pull off for this skin tone. Colors too close to your skin tone will also clash and make your face seem washed out, and your facial features recede. Dark espresso and inky black colors are where it’s at for women with cool, dark skin. If your dark skin is warm, however, try colors such as mahogany, maple brown and toffee, to bring out the warm, apricot undertones of your skin. While your skin tone is a crucial tool for finding the best hair color for you, don’t forget about your eye color. Whether you have baby blues or big brown eyes, it’s essential to consider your eye color in order to find your best hair color. If you have brown or warm hazel eyes, the chances are that you have a warm skin tone. 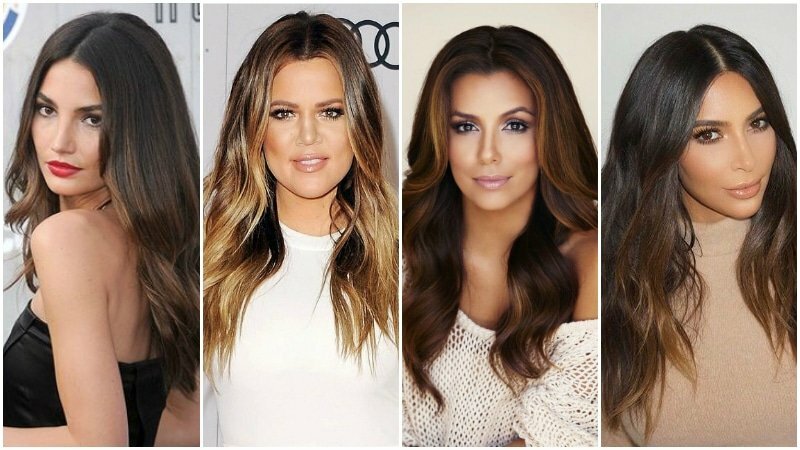 As warm skin tones look best when paired with warm hair colors, choose hues that compliment you, such as warm, chestnut browns, toffee colors, and honey blondes. The golden undertones of these warm brown hair colors will help bring out the color of your eyes and make them shine. Likewise, auburn and caramel will also compliment your eyes. You may or may not wish to avoid cool shades of blonde, especially platinum and silver blondes, as they don’t always work with brown eye colour. Women with colored eyes, including blue, grey, green and green-hazel eyes, tend to best suit cool hair colors, particularly if they also have a cool skintone. For those with cool pale skin and colored eyes, icy blondes will really make your eyes pop. If you have warm pale skin and colored eyes, consider trying warm blondes and light brown, honey and chestnut hues as well as red or black hair. If you have colored eyes and brown skin, however, rich brunette hues will look best on your locks. Consider trying an icy brunette color to create a striking look, or a golden brown to enhance your warm skin tone. Highlights can help add dimension but choosing the right highlights to suit your hair color, skin tone and eye color is essential for a good look. Strategically placed highlights in gold or honey will create depth in dark brown hair colours while deep cognac and milk chocolate colors look best on women with dark hair, dark skin and brown eyes. Butterscotch and caramel are the best highlights for women with tan skin, medium or dark hair and coloured eyes. If you have brown eyes, however, you may want to try red copper or coffee highlights. Pale skin tone looks best with taupe and beige blonde highlights. If you have pale skin and brown eyes, you could also try golden blonde and peachy highlights, or light red if you have cool-toned skin. If you have pale skin with dark hair, consider honey highlights. Or if you have light blonde hair and blue eyes try platinum and vanilla highlights.